Why Weren’t We Taught African History? This has been on my mind for years now, and I realize that it’s a complex question that cannot be easily answered. But we must take the time to reflect on it. 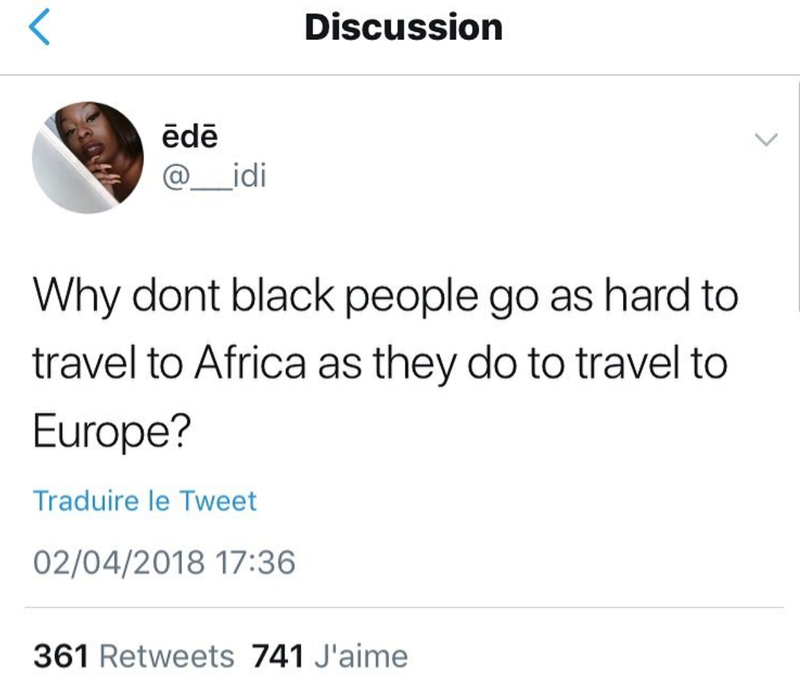 Why do we, humans of the African diaspora, tend to idealize Europe as a travel destination, while being more apprehensive or ignorant about traveling to Africa? My first thought is that it comes down to the fact that we were not taught about the richness and vastness of Africa in school. Ever since we were young, we were taught about Europe. The media flashes shiny images of traveling to Paris, London, or Barcelona and we internalize them and view them as #travelgoals. If we make it to these cities, we feel a sense of pride. This isn’t only an American perspective. Due to mental conditioning that dates back to slavery, colonialism and imperialism, even people living in Africa often view America or Europe as the standard and as an ideal location that they aspire to move to or travel to. They too can be blind to the beauty that exists within the African continent. This is deeply troubling and damaging. While it can be uncomfortable for us to admit our own internalized racism and self-hate, I believe it must be addressed so that this toxic cycle can be disrupted. Why does western media associate Africa solely with poverty and illiteracy, while often hiding the fact that there are millions of homeless people in America and Europe as well? Why are we as a people (and of course I’m generalizing here), often more excited to plan a trip to Europe or Asia, than to invest in our return to the motherland and reconnect with the source of all humanity? Why are some African-Americans ashamed to be associated with the word “African”, while Africans dream of being American? And most importantly, why do Western countries fail to highlight how their own oppressive actions are what largely contributed to Africa’s perceived poverty and systemic issues? Bob Marley said, “emancipate yourself from mental slavery, none but ourselves can free our minds.” We have been victims of profound indoctrination which positions the “first-world countries” as superior to “third-world countries,” and that’s because they know that if we were to awaken, reclaim our power, and unite as One People, they wouldn’t be able to control us. Did you know that thousands of Asian, European and American businesses are being started in Africa each year? They know the value and worth of Africa and while they use the media to tarnish our image, they are profiting and taking advantage of the lower costs of production, as well as exploiting our natural resources and human labor for their own purposes. If more humans from the diaspora were to come to the Motherland and start their businesses here, we would outweigh the influence of outsiders who don’t have the best interests of the African continent at heart. We would thrive. I understand that the reasons for not feeling inclined to visit the Motherland can be much more simple than those I’ve stated. Perhaps you don’t know where to begin. Since Africa has not been marketed prominently as a travel destination, people are often left unsure of how to travel there with ease in the first place. Perhaps you also think that it’s more of an investment than the seemingly more accessible countries in Europe. But that’s an illusion. After factoring in the plane costs, visa costs and immunization costs, you’ll find that the cost of a trip to many African countries is significantly less expensive than traveling to most European countries. So having an amazing vacation in the Motherland will often cost you less in the long run than doing so in Europe. I’m not saying we should scratch the idea of visiting European countries altogether. I was born in Paris and I’m quite fond of it. I’m simply encouraging us to look deeply within ourselves and be more expansive with our views of what type of travel is truly accessible to us. We should also be more intentional about where we’re investing our money and why. I’m also aware that many of you are already doing the work of decolonizing your mind and seeing beyond the myths that have been planted in our subconscious. And for that, I congratulate you. Changing the world’s perspective on Africa is not something that will happen overnight. But it’s something that we should all hold ourselves accountable for. Even if we weren’t taught about Africa in schools, let’s teach ourselves, each other, and our children about Africa. Let’s be engaged in knowing where we come from. Let’s be interruptors of people who try to erase our magic and melanin. Let’s set ourselves free. 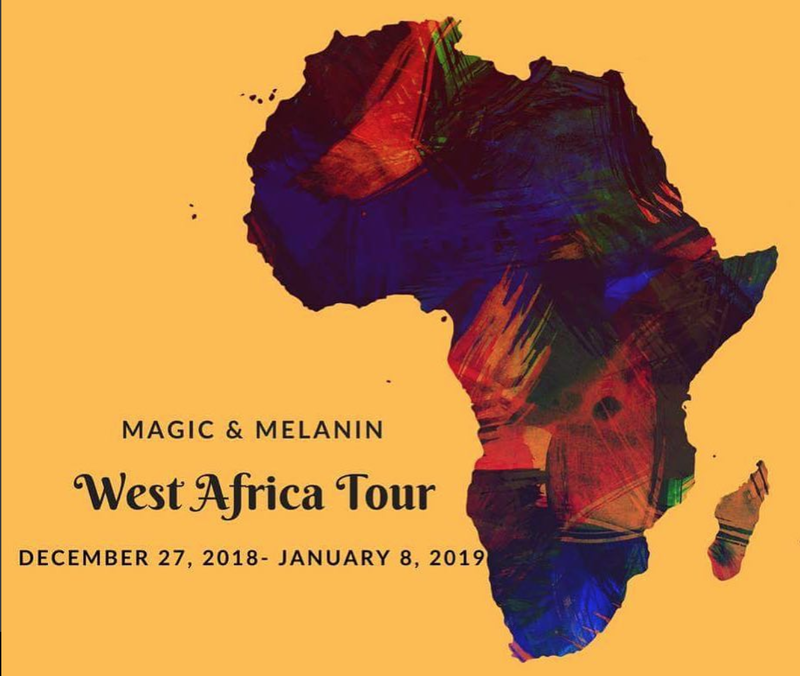 Thanks for coming to my TED talk 🙂 If you’d like to join us on our trip to West Africa (Togo, Ghana and Benin) this December, there are still spots left and you can sign up here. Our goal is to make coming to the Motherland as accessible as possible. And if you can’t make it this time around but you know of people who would love this trip, please forward this email to them and/or direct them to our website. The latest episode of our vlog featuring our adventures in the Motherland is out now, and you can watch it here. We appreciate your support, and your wokeness. Together, we will break the stigma surrounding Africa, and dispel stereotypes one trip at a time.